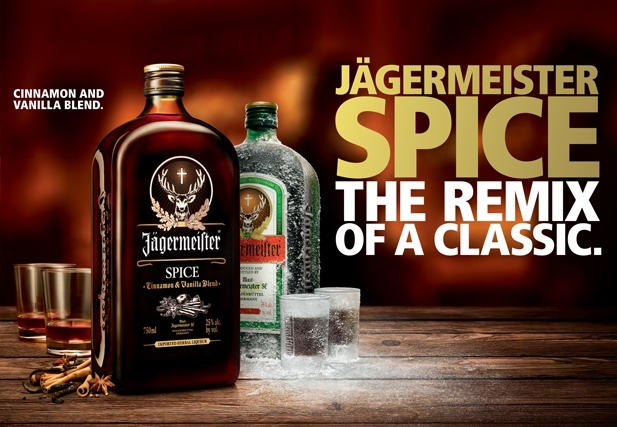 JÄGERMEISTER SPICE - THE REMIX OF A CLASSIC! A total of 100,000 cases of Jagermeister Spice going into circulation around the world and it has finally landed in Australia! Made from the same 56 handselected herbs, blossoms, roots and fruits, newly arranged. Crafted and perfected in Germany. Drink it as neat shot at room temperature and you can experience the distinctive taste of spicy cinnamon and smooth vanilla flavour, distinguishing Jägermeister Spice from his big brother Jägermeister. Spice is the well balanced Jägermeister with hand selected natural ingredients based on the original elixier to keep the Jägermeister character. Apart from drinking it neat or drop it in a bomb there is a few other ways you can use this to make some great cocktails.